Some cars weren't meant to go off-road at high-speed—that didn't stop these mad geniuses. 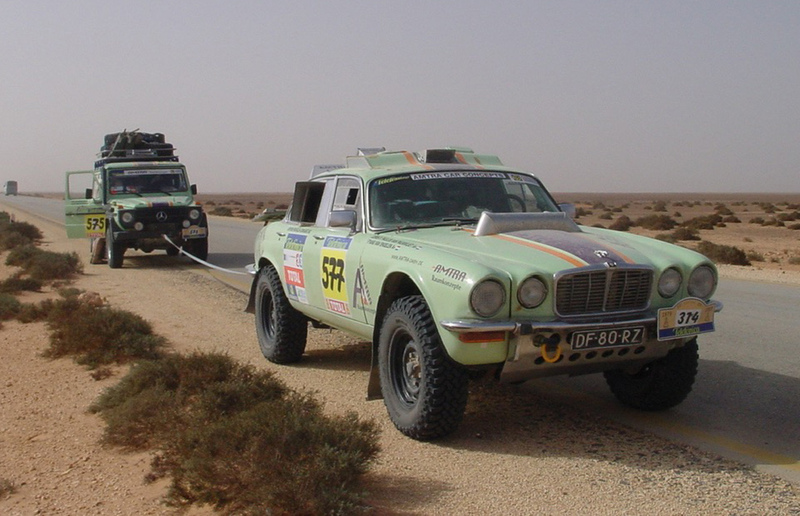 Sticking with British premium limousines that attempted to conquer the Dakar, we have this 1978 Jaguar XJ6 that attempted the terrifying 8500-km adventure across the dunes in 2003. 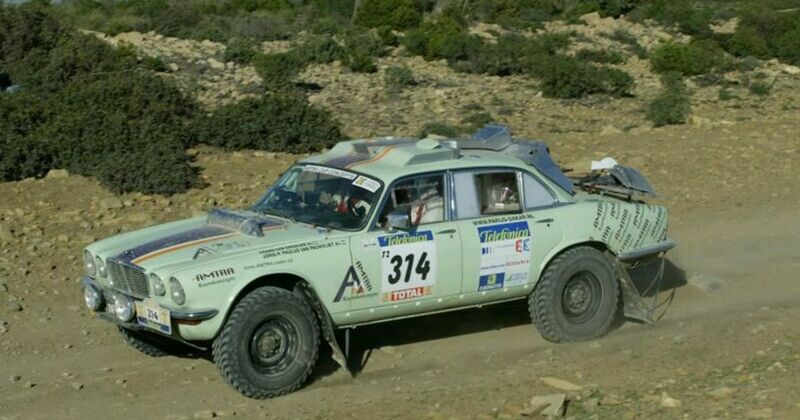 Much like the Roller, the Jag, entered for the event by experienced Dutch mechanic Frans Van Engelen, was heavily modified. The chassis was from a Range Rover, as was the five-speed R380 gearbox, LT 230 transfer case, and vented brake discs. The rear axle was rebuilt and set further back to match Range Rover’s 100-inch wheelbase, the stock suspension was ripped out in favour of performance dampers from HT, and the new “Wolf” Defender 130 steel wheels were fitted with heavy-duty mud tires. Particular attention was paid to the XJ’s 4.2-litre V8, the block of which was based on Range Rover’s more durable 3.5-litre example. Van Engelen even found room for a couple of turbo pistons from a BMW 745 to up the power to 250 hp. Astonishingly, the burly and bruised British brute was on course to take the checkered flag – albeit way down the order – before news broke just 590 km from the finishing line that Van Engelen’s wife had gone into labour.